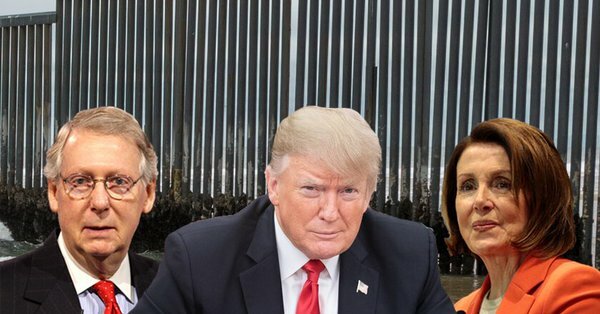 President Trump said he “might declare a national emergency to obtain funding to build a wall along the U.S. border with Mexico because it did not appear Democrats were moving toward a deal that would provide the money,” Reuters reports. Trump and the publisher of the NYT had an extraordinary exchange about Trump's attacks on the free press. The results were startling, particularly when Trump was told that his attacks are inspiring "dictators and tyrants." This is a good first ad. Sen. Cory Booker (D-NJ), who rose to prominence as Newark’s charismatic and ambitious mayor, announced Friday that he is running for president, CNN reports. “The intense nature of the criticism stunned Schultz,” Fox Businessreports. Australian diplomats have reportedly visited Julian Assange in Ecuador’s embassy in London to hear firsthand about his health, the Sydney Morning Herald Reports. Trump spikes the football because Donald Jr.'s phone call was not to him. The Labor Department said that 304,000 jobs were added last month, as compared to an estimate by economists of about 172,000, the New York Times reports. The unemployment rate rose to 4.0 percent. “President Trump’s campaign and affiliated committees raised more than $21 million in the final three months of 2018, entering the presidential election cycle with a massive head start just as a wide-open Democratic field begins to take shape,” the Washington Post reports. “President Trump is telling conservative allies he wants to incorporate firm anti-abortion language into his State of the Union address next Tuesday, and potentially include an anti-abortion figure among his list of invitees,” Politico reports. A new study found that the steady loss of local newspapers and journalists across the country contributes to the nation’s political polarization, the AP reports. House Minority Leader Kevin McCarthy (R-CA) “formally named the nine Republican members of the House Intelligence Committee Wednesday, ending a weeks-long delay that may have cost special counsel Robert Mueller valuable time to act on potential leads the panel could offer just as he appears close to wrapping his investigation,” NBC News reports. Well, that blows the Dems whole “Trump’s-a-Putin-puppet” story sky high. That’s why the Dems are silent when Trump pulls one of the most irresponsible moves imaginable. Only if you think that this is a bad development for Putin, which it’s not. He’s been touting new ballistic missiles that would be barred by existing treaties. Do you really not know the geopolitical situation of Russia? Maybe that’s why you refuse to treat them as a bad actor. Do you really not understand that the problem isn’t Hillary losing but rather untraceable foreign money being injected into American elections? How can you be so oblivious? What is oblivious is you and Trump skipping, hand-in-hand, down the primrose path to armageddon, based on anti-Russia scare-talk that’s as old as the 1917 revolution. Treaties are typically how armageddon gets avoided. And it is not scare talk when the Soviets built an entire identity on destroying the USA. Don’t believe anything you hear from the John Birch Society. You don’t know what you’re talking about, and on this topic it shows. All you have is your straw-man manufacturing plant. Russia is a bad actor running a totalitarian society, and the supposed philosophy of its rulers — communism or kleptocracy — doesn’t seem to make a difference. Their nuclear weapons still point at us, and the treaty doesn’t affect those. It affects the ones pointed at Europe. Try to learn something before typing. We said that about Saddam Hussein and WMD’s. Now it’s deja vu all over again and people(who should know better) are lapping it up ! Alby is right, you really don’t know much outside of whatever the Russian bots are telling you. But as noted, the Russians are bad actors running a totalitarian society which is currently appealing to the GOP and some of the far left in this country. There’s plenty of credible history written on this — which will, of course, mean you need to stop getting your history from social media. I repeat here a suggestion I have made about the wall. First, as an American, I am NOT paying for it. But I have a suggestion of who could: American Corporations. Build the longest, highest wall they want. Mountainous. And not to miss ANY messaging opportunity, and in as much as this is a PRIVATE wall, it should be festooned with best ideas our corporate overlords can imagine. The problem isn’t that the wall would cost money. It’s that it would actually be destructive. I’d be against it even if it would work as advertised. I never said I thought it would work. I think it’s unfortunate that Warren apologized for taking the blood test. The blood test was not meant to prove that she’s Naive American or that such an identity can be established genetically. It was meant to prove that she didn’t lie when she said she had a Native American ancestor, contrary to Trump’s claim that she lied. Now the apology negates the intent for taking the test.